This year’s Vault Festival has brought the work of numerous emerging artists to the London stage – and in today’s technological world, the internet and social media can help to ensure that a show’s presence goes beyond the Waterloo space. In this guest blog, Stagedoor’s Head of Partnerships Jasper Bartlett considers how technology can play a vital role in supporting artists and helping them to find an audience. 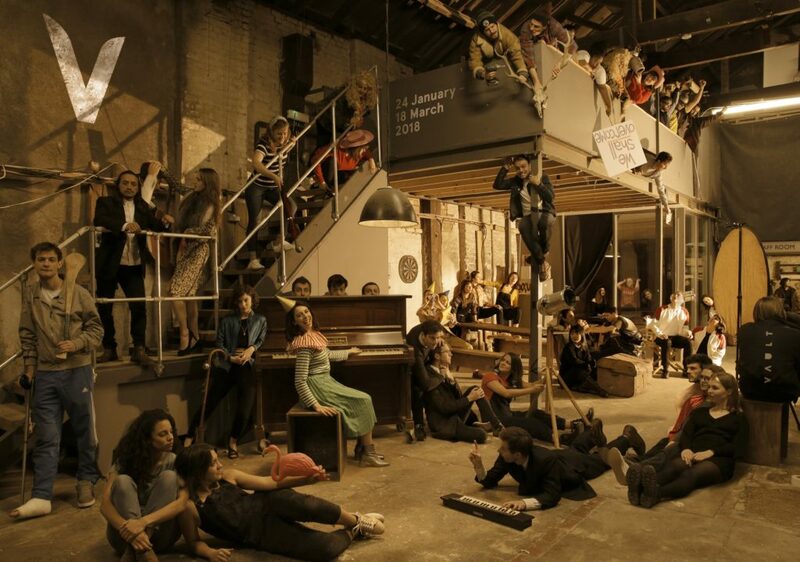 Vault Festival is now such a prominent part of the theatre calendar it can’t help but get people talking. This year, it’s been the focus of a discussion about how the theatre industry supports emerging talent. There was a lot of talk about finances and critics, but little attention has been paid to the impact of technology. Festivals are an essential part of the theatre eco-system. They bring innovative new work to audiences excited to discover the next big thing. Yet the economics of fringe festivals tend towards ‘capitalism-gone-wild’, to borrow a phrase from Vault Festival founder Mat Burt. If you want a serious shot at making a name for yourself in Edinburgh, you need to commit thousands of pounds. As the costs escalate, so too does the risk. Expensive deposits, like rising drama school tuition, is making theatre less meritocratic. In an interesting chat with Alice Saville, Burt explained why it’s crucial to put affordability at the heart of festivals. He launched Vault to provide artists with the opportunity to perform without breaking the bank. Removing financial barriers allows artists to take risks, experiment and develop their work through interaction with audiences. The Vault team keep deposits to a minimum and ensure 70% of all box office revenue goes to performers. Naturally, this makes the festival incredibly popular with artists – but the festival has resisted the urge to grow exponentially. Vault 2018 is the biggest so far, but it hasn’t sprawled out of its Waterloo home. The programme is still lean compared to many festivals. This means Vault has kept a strong sense of identity and can guarantee its audience a level of originality and quality in the work on show. However, this performer-friendly model has its own cost. As Matt Trueman pointed out, most Vault performers have very short runs. This keeps the risk low, but it makes it harder to build a reputation. 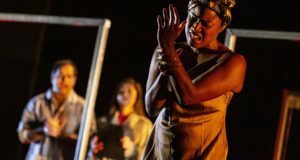 Many mainstream critics, Trueman included, do a fantastic job as advocates for emerging artists – but the shorter the run, the harder it is for them to justify a review to their editors. This trend towards shorter runs can be seen at venues too, and it is happening at a time when newspapers are cutting back on their arts budgets. With these parallel forces at work, how can we make sure that the best work finds an audience? Independent magazines like Everything Theatre are more and more important, as are bloggers. This community, often working on a volunteer basis, is a huge asset to the industry. However, writing a blog or editing a magazine takes enormous amounts of time and only a few dedicated individuals are able to make a difference this way. So what more can we do? One solution is for venues to better support independent critics. That will certainly help but it’s not a game-changer. We need a revolution. We created Stagedoor with exactly these problems in mind. Our app is a social network for theatre. You can leave your own reviews in seconds and share them with your friends and the wider community. This crowdsourcing of reviews turbo-charges word of mouth and puts thousands of reviews at your fingertips. We’ve also created a huge IMDb-esque network that you can use to follow individual venues, companies and even performers. That writer whose work you liked at Vault? Follow them on Stagedoor and we’ll let you know about their next big thing. There will always be a place for theatre journalism. It’s an art form in itself and there’s no substitute for thought provoking, long-form criticism. But as the economics of the industry put pressure on the old ways of discovering theatre, we should embrace new opportunities. Technology has changed the way we discover new music, restaurants and tv. It’s time to reinvent how we discover theatre. 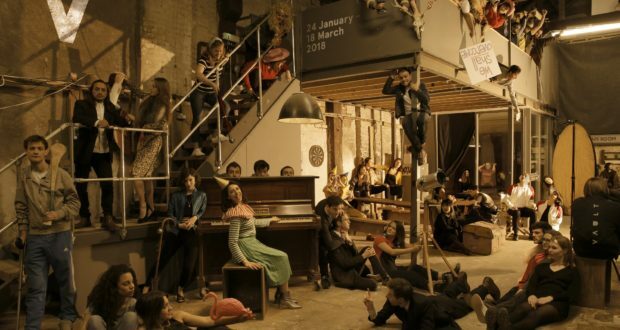 The 2018 Vault Festival is currently running through 18 March. More information about the Stagedoor app can be found here.